Senior Rugby is back at the Kennel! 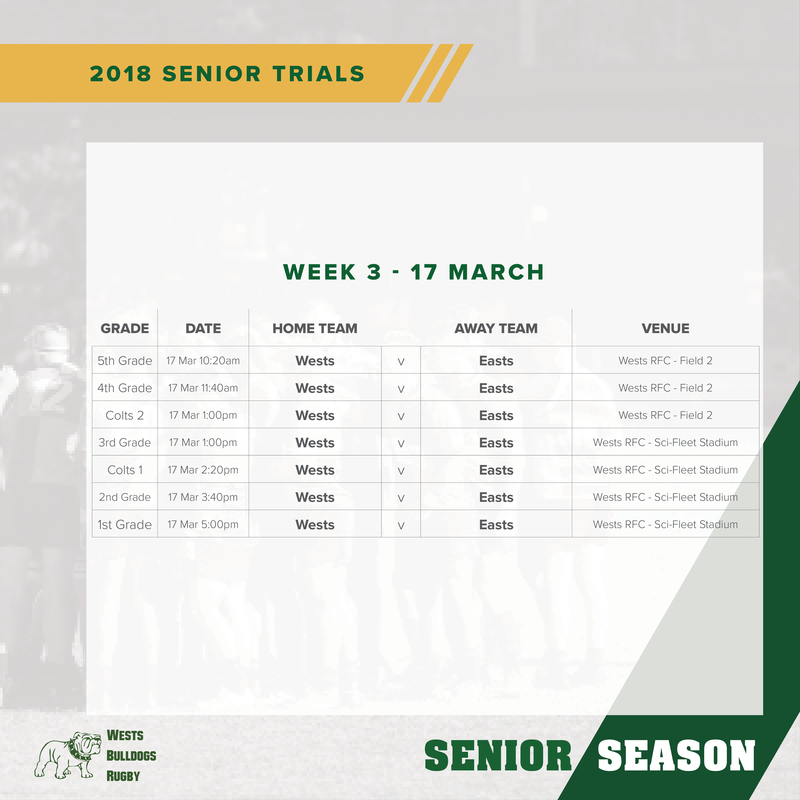 Saturday 17 March kicks off Round 3 of trials and our Senior Men’s teams take on Easts at Sci-Fleet Stadium. The club has a new pizza oven with $16 pizzas! We have a new game day menu featuring Roast Pork Rolls, takeaway beef casserole and Guinness Pints all to celebrate St Patrick’s Day, as well as a live band from 7pm. Bring the family down, invite friends and get a taste of what’s to come in the 2018 season with an epic day of Rugby at the Kennel!